We had leftover pasta from our colorful fish craft earlier this week so you know what that means…We got to get our pasta craft on again. Woohoo! There is something about colorful owl crafts that makes my heart flutter with joy. 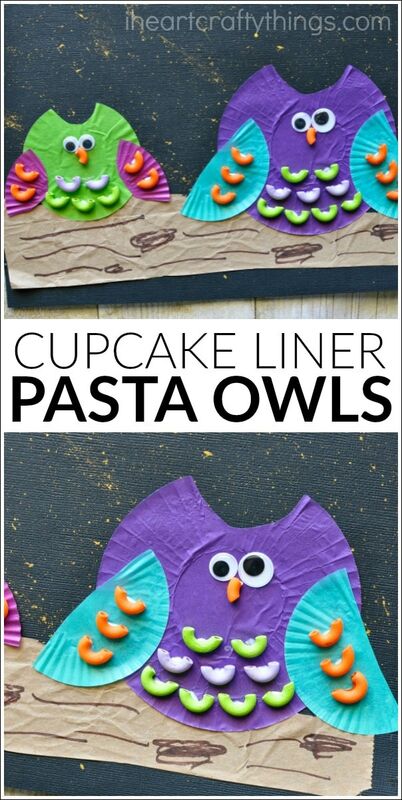 This cupcake liner pasta owl craft combines several different textures and mediums which makes me love it all the more. 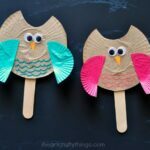 Grab your supplies and get ready for some fun making these adorable owls! Look for a fun book recommendation at the end of this post. 1. Start by putting a small amount of gold paint onto your paintbrush. Use your finger to flick speckles of paint from your paintbrush onto your black cardstock paper. This makes the appearance of gorgeous gold stars in the dark sky. 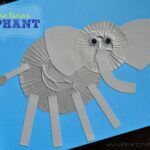 This process can get messy so make sure to do this outside or we placed our paper onto a place mat and put it in the bottom of our kitchen sink for the speckling part. That way any speckles could be easily washed away from inside the sink when we were finished. 2. Cut a tree branch out of your brown paper lunch bag. Use your brown marker to make wood markings on it. 3. Choose which cupcake liners you’d like to use for your owls. You can use both regular size or mini size or mix the two. Flatten out your cupcake liners and cut a half circle shape out of the ones you will be using for your owl bodies. For the wings, cut a cupcake liner in half. We trimmed down the liner a bit more for our mini cupcake liner owl. 4. When your gold paint is dry on your black cardstock paper, glue your tree branch onto the bottom of your paper. Now glue your cupcake liner owls onto your branch. 5. 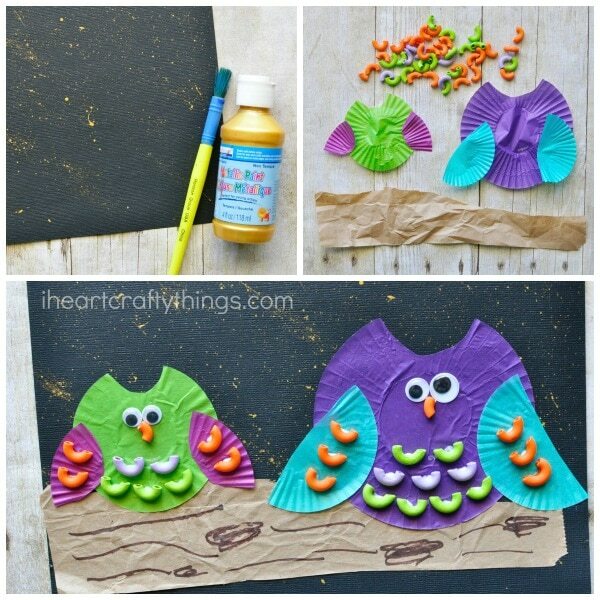 Finish your colorful pasta owl craft by decorating your owls with your painted macaroni. We used scissors to trim a piece of macaroni for the owl beaks and glued them next to big googly eyes. 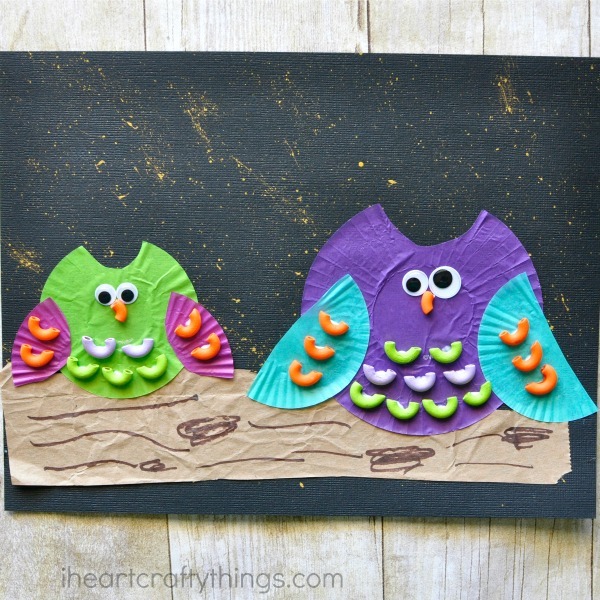 I love how you can mix and match colors to make some vibrant colored owls! 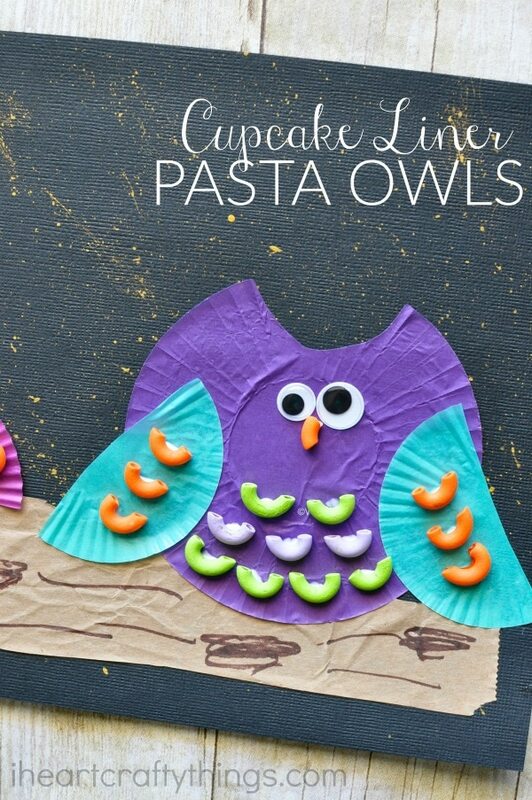 This bright and colorful pasta owl craft goes along perfectly with the book The Little White Owl by Tracey Corderoy.